Air Management Solutions Ltd can provide an essential fire saftey service to your fire dampers. This will comply with BS5588-9 code of practice for ventilation and air conditioning ductwork. The British Standard 9999:2008 ‘Code of Practice for Fire Safety in the Design, Management & Use of Buildings’ defines a Fire Damper as a: “Mechanical device that is operated automatically or manually and is designed to prevent the passage of fire and, together with its frame, is capable of meeting the fire resistance criterion for integrity for a stated period of time”. Under the Regulatory Reform (Fire Safety) Order it is a legal requirement to test fire dampers at regular intervals in accordance with fire safety in the design, management and use of buildings code of practice (BS:9999 2017), using a method known as ‘drop testing’. Previously, under BS:9999 2008, fire dampers were categorised according to their type; a small number needed to be drop tested only every two years; now all fire dampers must be drop tested and cleaned annually. Fire dampers are crucial passive fire protection products used in ductwork systems to prevent the spread of fire inside the ductwork through fire resistant rated walls and floors. In the event of a rise in temperture the fire damper will close, usally activated by a thermal element. This melts at tempertures higher than the ambient temperature (Usually72°C) but low enough to indicate the prescence of a fire, allowing springs to close the damper blades. Dampers can also close via an electrical signal from a fire alarm system utalising automatic detectors remote from the fire damper indicating the sensing of heat or smoke in the building occupied spaces or in the ventilation duct system. Fire dampers are open most of if not all of the time, it is vital to ensure that they will still close effectivley when required. 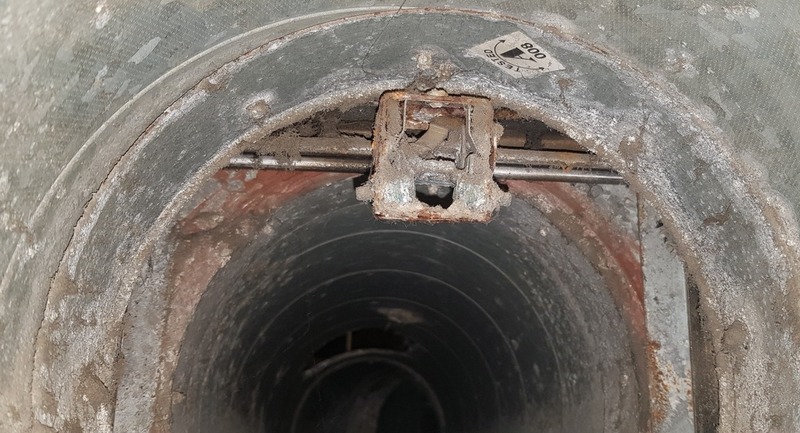 Effectictive fire dampers save lives, so regular fire damper testing and maintenance is not only a critical part of the building fire saftey management but is a legal requirement. Air Management Solutions Fire/Smoke Damper maintenance and inspections include the following .